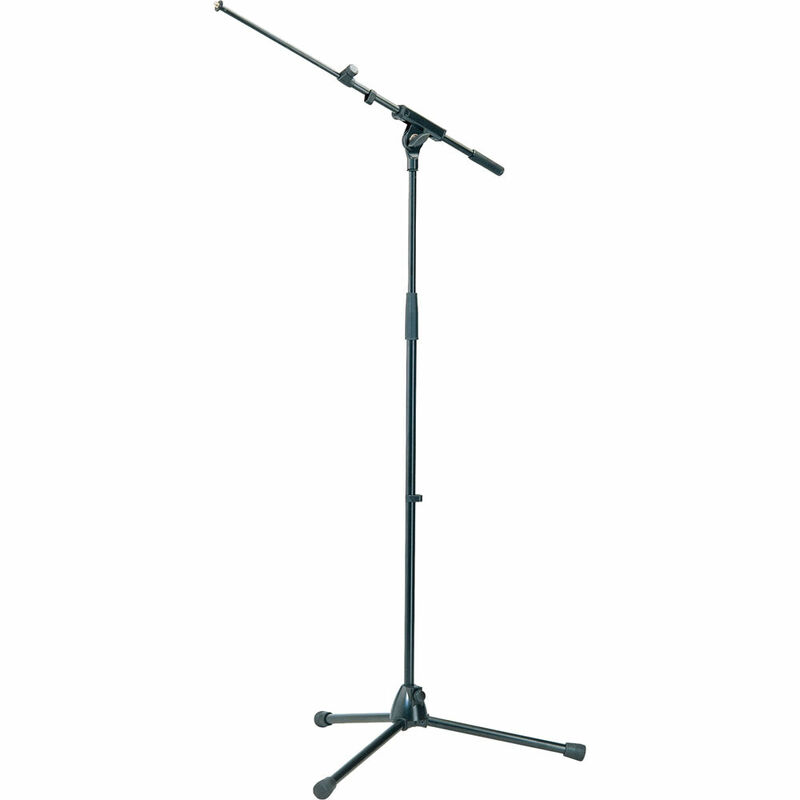 The black Baseline 20175 Microphone Stand from K&M is an all-metal stand that consists of a tubing assembly, telescopic boom arm, and zinc die-cast base with long folding legs. This stand features a square swivel joint with a large wing nut. Box Dimensions (LxWxH) 34.0 x 4.5 x 3.5"